CZmenu.cz - navigation, update, software, diagnostics, multimedia etc. Since 1995 year are friends with everything which have a wheels. Story started with car stereos and super mega giga woofer, handsfree installations, to present with multimedia projects and installations. Our today work is mostly updating map and navigations all types and brands, translating car systems to Czech language and coding & programming. With diagnostic tools we set up car equipments and units, make video in motion, read errors from car system etc. On our site among others also find daily updated samples of our work. Its not possible show here everything what we did & do - every day we solve 2 - 5 cars. 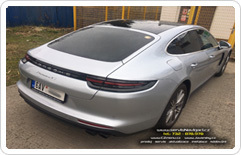 We have solution for standard and special cars, buses, trucks and motorcycles. Simply for all, what have a wheels. From simply antena repairing, through map installations, to add DVD players, TV receivers, navigations, LCD displays or GPS tracking.